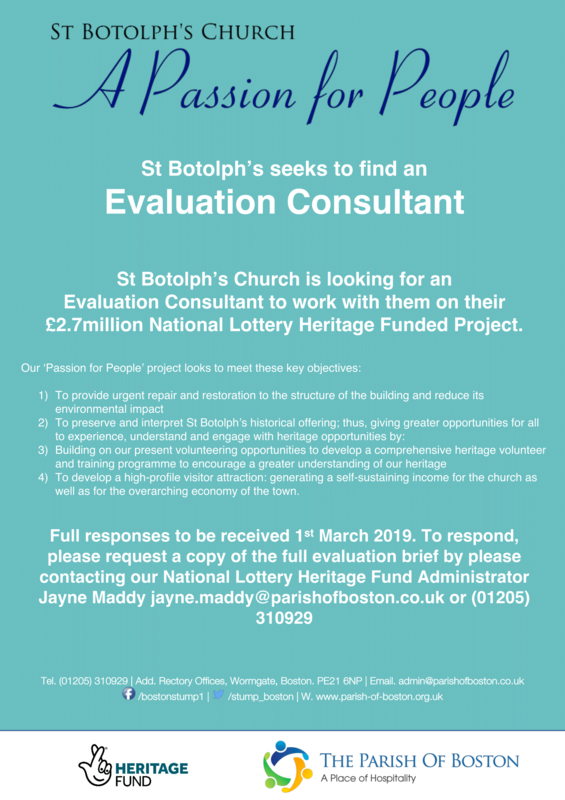 The Parish of Boston is seeking to appoint an Evaluation Consultant for its £2.7million Heritage Funded project ‘A Passion for People’. To find out more please see the poster, or contact jayne.maddy@parishofboston.co.uk or call (01205) 301929. For a full brief, please contact our Heritage Fund Administrator Jayne Maddy.